Kevin is an Associate in Dentons Rodyk's Banking and Finance practice. Kevin graduated with an LLB (Hons) from the National University of Singapore in 2015, with Second Class Honours (Upper). Kevin’s areas of practice include finance and commercial work, particularly in the areas of mergers and acquisitions, project finance, banking and debt finance and debt restructuring. Kevin’s experience also includes drafting, reviewing, and advising on ISDA documents for hedging and derivatives transactions in banking and commercial transactions. Singapore financial institution: Acted as lead counsel for a Singapore financial institution in relation to a US$60,000,000 revolving credit facility to a leading ASEAN-based private equity fund for the purposes of its fund investments, which is secured by assets of the fund in 7 different jurisdictions under 36 security documents, with a security value of over US$300,000,000. Confidential client: Advised on the refinancing of a up to US$34,397,000 loan to a borrower for the repayment of its existing facility and for its working capital requirements in relation to the Bentu fields, and further advised on the discharge of the existing security under the existing facility and the security documentation over the borrower’s assets in Singapore and Indonesia. Maybank Kim Eng Securities Pte Ltd: Advised on a S$35,000,000 facility agreement which was used by the borrower to fund the development of a main water supply plant and an expansion water supply plant in Medan, Indonesia. Advised on the security documentation for such loan, which involved share pledges, mortgages over the land parcels in Indonesia and fiducia security over the receivables, insurance proceeds and moveable assets in relation to the respective plant. Further advised on the discharge documents for the Singapore and Indonesian security upon prepayment of the loan by the borrower. Confidential client: Acted for a remote trading and clearing member of the Indonesia Commodity & Derivatives Exchange on a services agreement and interim agreement, whereby the counterparty would provide quotes on the exchange and the client would enter into the relevant futures transactions in relation to such quotes. Further advised the client on reducing the risks exposed in such transactions, which included having a trading limit and mechanisms to settle any losses suffered by the client. Private client: Advised on a Singapore dollar loan and a Thai Baht loan for the restructuring of a high net worth client’s group of 7 companies in Thailand, and liaising with Thai counsels for the Thai law security and corporate documentation for the restructuring. UOB Kay Hian Credit Pte. Ltd.: Acted for UOB Kay Hian Credit Pte. Ltd. as lender in relation to a master facility agreement of up to IDR2,015,900,000,000 and drafted the various security documents in relation to the loan. Regional healthcare service provider: Acted for a regional healthcare services group on the re-structuring of the ownership of its 8 affiliated corporate entities and their respective intercompany debts and liabilities in preparation for listing, and the work included assisting the client on the intercompany sale and purchase of shares, transfers of liabilities and settlement or capitalisation of intercompany debt. Confidential client: Acted for an Indonesian investment arm of a private equity fund in its investment in a cocoa production facility through an investment in the Or De Cocoa Group via a convertible loan of S$8,800,000. Further advised on the various steps in the transaction structure in order to achieve the final investment proportion. Confidential client: Advised a Chinese medical conglomerate on the transaction structure for its investment into a Singapore oncology clinic, on the acquisition of business assets and the formation of joint venture. Private client: Acted for a private client in his investment into an entertainment company in Singapore that organized large scale concert events in Singapore. Advised on the investment structure, shares purchase agreement and shareholders agreement for the successful completion of the investment into the company. Confidential client: Advised on a shareholders agreement for a proposed investment by a Korean company into an Indonesian company specializing in PVC for an expansion to the plant. Confidential client: Acted for a Chinese state-owned EPC contractor in its US$2.3 billion acquisition of 45% stakeholding in a Vietnamese project company to develop a 2 x 660 MW coalfired thermal power facility in Vietnam including advising on the build-operate-transfer agreement, power purchase agreement, coal supply agreement, EPC contract and related bonds and guarantees. 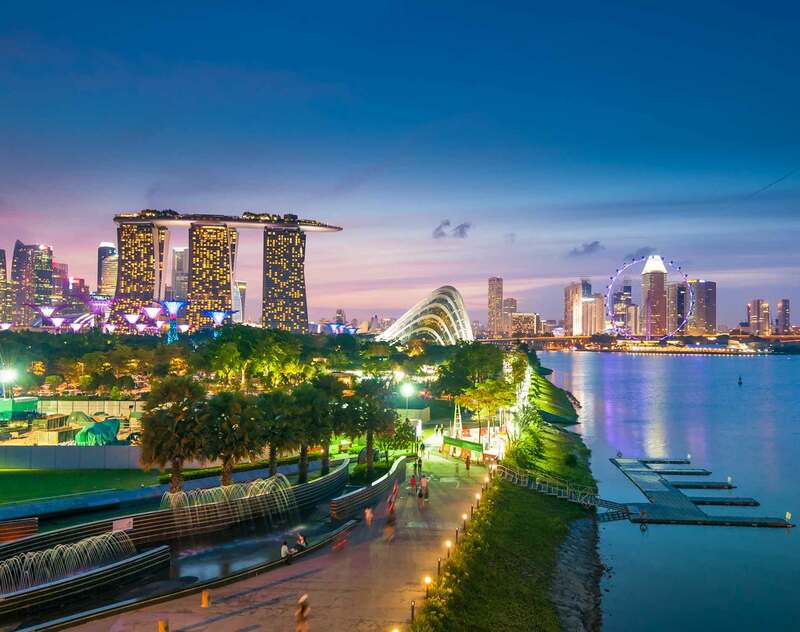 Confidential client: Acted for a Singapore company as consortium leader in its successful bid to the Indonesian government to construct and develop a monorail infrastructure system in Indonesia. Confidential client: Acted for a Chinese state-owned company in relation to the development of a 2 x 50MW coal-fired steam power plant located in Indonesia. Chinese SOE: Advised a Chinese SOE in its joint venture to develop a 2 x 100 MW coal fired steam power plant at Central Kalimantan, Indonesia, including the EPC and operations and maintenance contract. Confidential client: Advised a Singapore listed company in its joint venture power project to develop a 50MW (AC) grid-tied solar PV power plant in Sutiakhali, Mymensingh, Bangladesh, and the sale of electrical energy form the solar power plant to the Bangladesh Power Development Board. Confidential client: Advised a Chinese state-owned EPC contractor in its US$1,903,200,000 project financing to develop a 2 x 660 MW coalfired thermal power facility in Vietnam, including advising on the facility agreement and its various security documents. PT Dharma Hydro Nusantara: Advised a consortium of Indonesian and Chinese entities on the development of the 510MW Batang Toru hydropower plant to be located at Sipirok, South Tapanuli Regency, North Sumatera, Indonesia, comprising of four 127.5MW generating units with a matter value of above US$1 billion. Further advised on the various financing arrangements and the linkages with the EPC contract and EPC contractor (including drafting of various key documents required to implement the financing agreements).